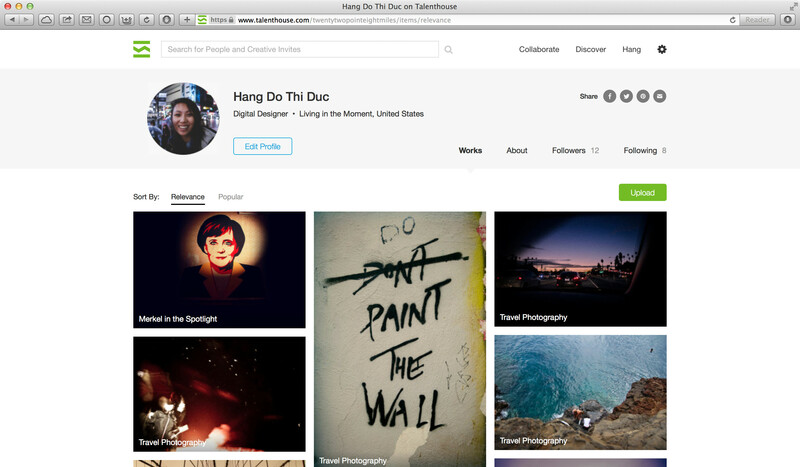 On April 20, 2014, www.talenthouse.com went online with a completely redesigned appearance. A hand full of developers (incl. the Head of Product) and I, the company’s sole Product Designer, have worked for about 4 months on this relaunch, a very clean and modern makeover. I am very proud of what we have accomplished. Of course we are always improving the platform, so with the introduction of new features there are consequently changes happening in the product’s visual appearance. In the following I will show you how the initial layout looked like. In order to take full advantage of all the community’s features and take part in the art conversation, every artist and art lover should sign up (more info about the landing page design). Of course there has to be a convenient interface to search content for users who already know what they are looking for. 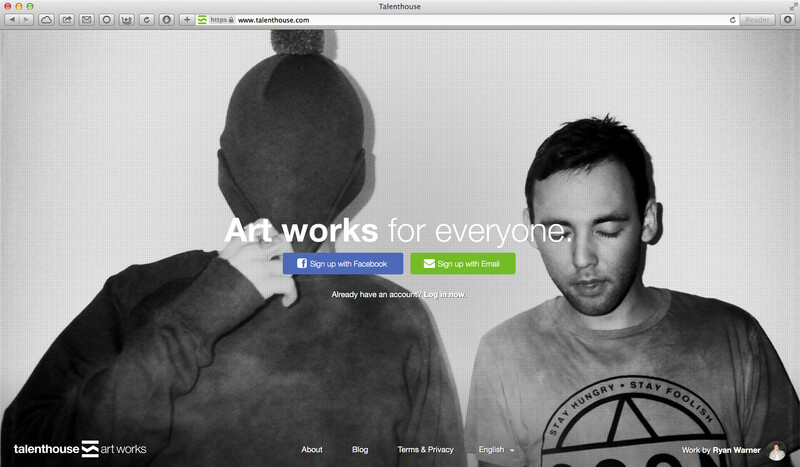 Also on the home page are featured Creative Invites, e.g. 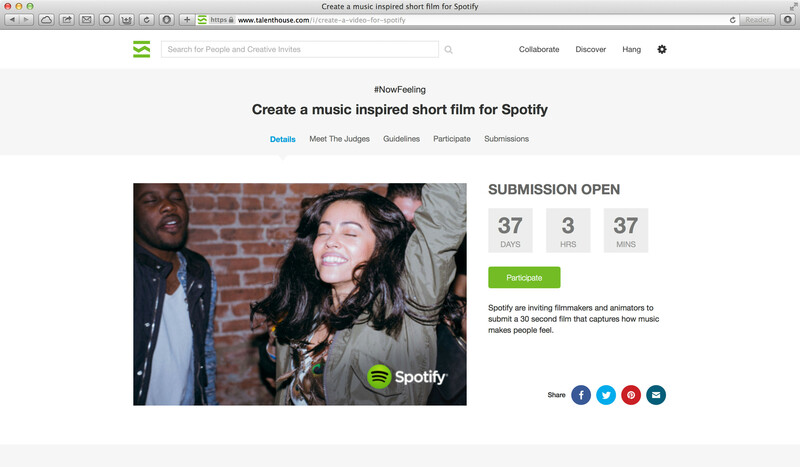 “Create a music inspired short film for Spotify”. You can think of Creative Invites like open calls for creative proposals in the categories of Art/Design, Fashion, Film, Music and Photography. They are complex and have a lot of information to offer for the audience. The challenge is to make everything accessible and and of course visually appealing. 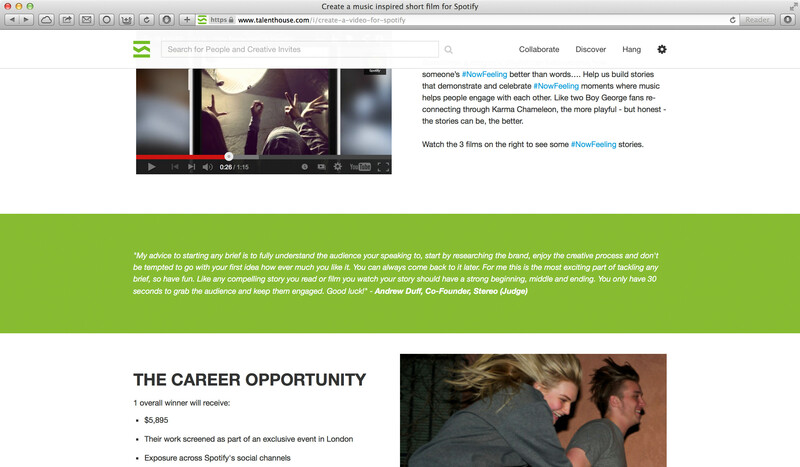 I am working with a good amount of white space to reduce the feeling of information overload. Also, there are as few colors as possible to make colored links and the featured image stand out more. 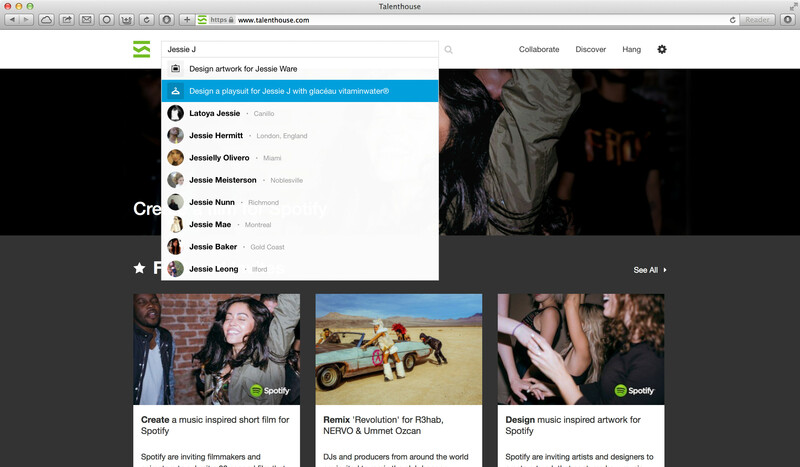 The header area has been iterated a couple of times since launch. 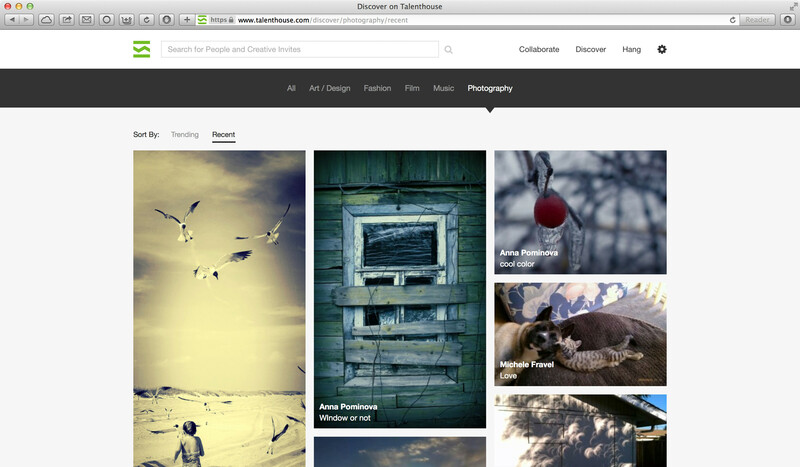 Have a look at our current layout (example is a Creative Invite with Yahoo Aviate). 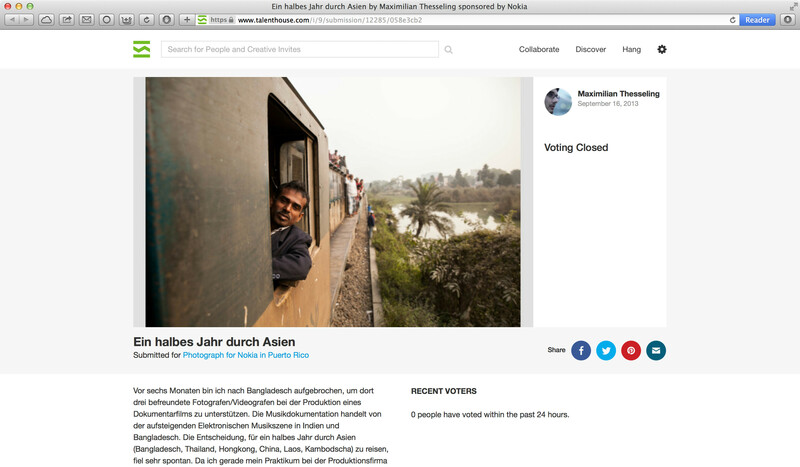 You see that we reduced the number of tabs and introduced Comments and Updates sections after this first launch that is shown above. The layout of this detailed Creative Invite page is designed to do two things. One, easy set up by non-designers and non-developers, i.e. campaign managers (social media teams, PR employees etc.) with the concept of rows and columns. This is an advantage over the previous version, where managers had to paste in html code to create sections. 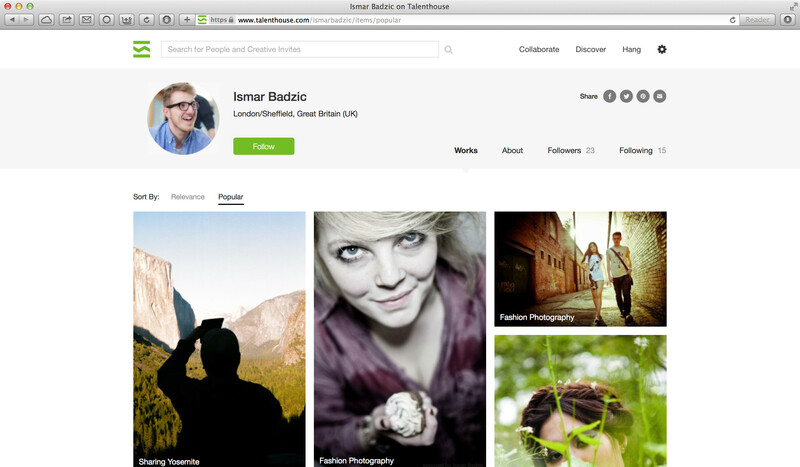 Two, the layout can be customizable for different brands. 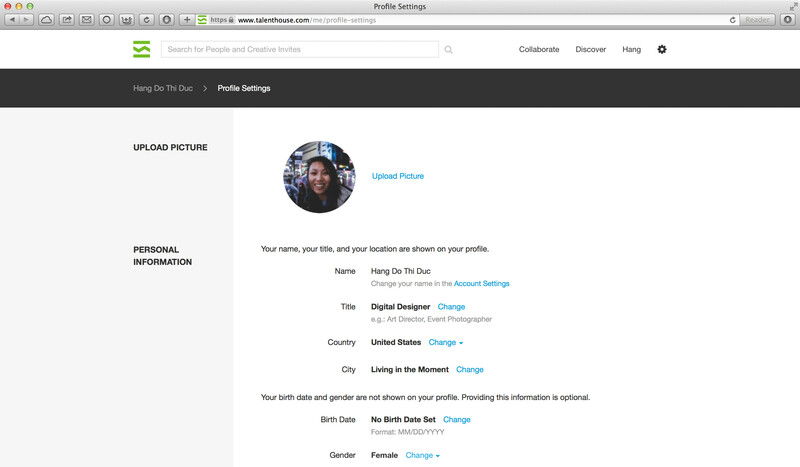 For example, there is the option to change the background color to match specific corporate identity. 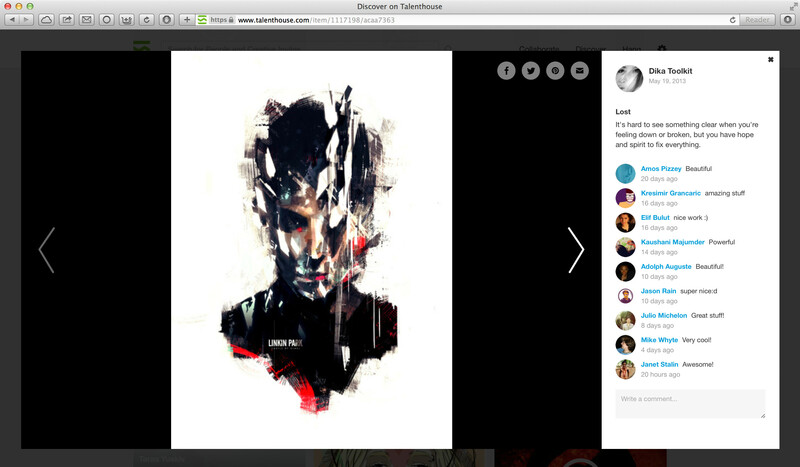 Later in 2014, we added the feature of “loving” an artwork, so the design changed naturally. 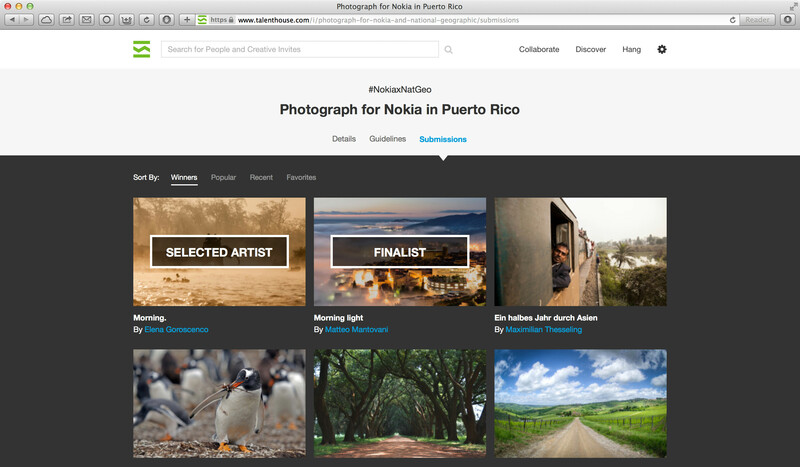 Check out the new Discover Page here. In the following there are artworks in different contexts. On their profile artists can highlight their work, write something about their past and future projects and link to external sites. With the introduction of “Love” the “Activity”-tab was later added. 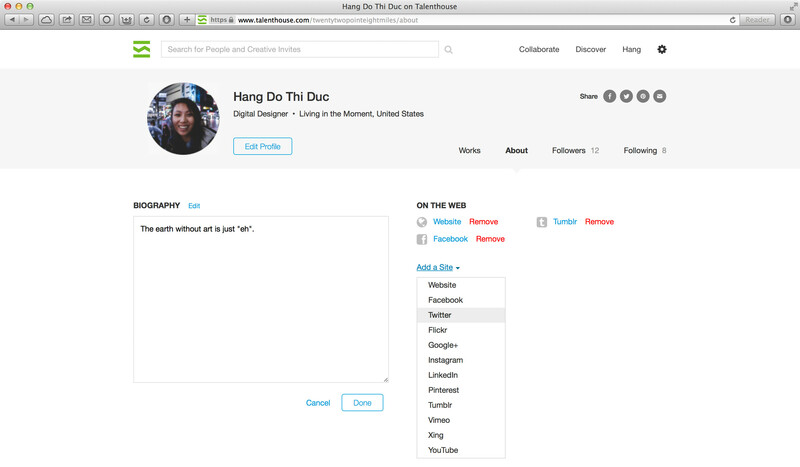 The layout has been changed slightly for overall consistency with the rest of the site (e.g. background colors, card style for art work, sidebar for cross promotion in “Activity”-tab). 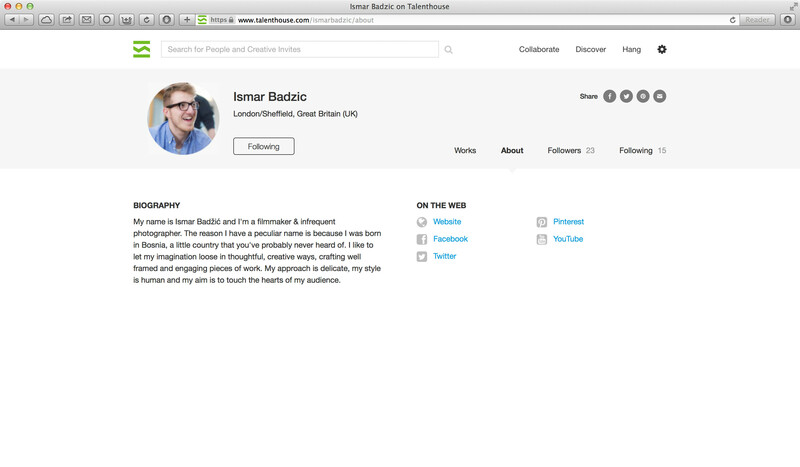 You can see my profile with the updated design here. When you are logged in, you can edit your profile. This is kept simple and functional. A lot of thought was put into the colors and overall appearance of buttons and action links. Blue really stands out, so it’s easy to spot when you can change/customize something to your liking. It’s important to establish some kind of rules of usage for different appearances for design consistency and usability, but also for smooth development. I communicated with the developer team extensively about the design system consisting these rules. 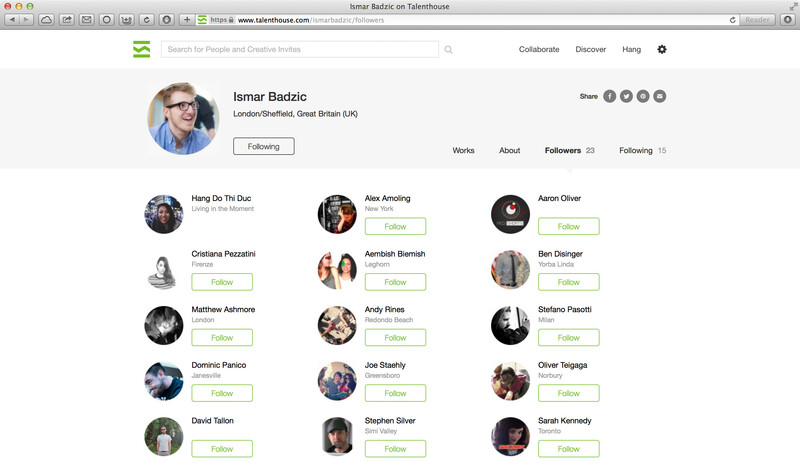 Read more about how the design of the Talenthouse platform evolved and got updated in a year after the relaunch.